Hello Friends, Happy Saturday! Today, starting over at Just Us Girls, Sue has a fun technique for you to try and it’s not difficult either. It’s called the smooshing technique and the great part about it is, you can’t mess it up. There are a few different ways to achieve this effect but the way I did it was; I took some watercolored paper, three of my SU inks, a piece of acetate, and my spritzer filled with water. If you have never tried this technique before, here is a video by Kristina Werner that will help get you started! I saw this great sketch a few days ago over at CAS(E) this Sketch and I haven’t been able to stop thinking about it. I knew I wanted to use my new stamps and dies from Verve that I just got, and finally an idea came to me. I did stretch the sketch just a tad when I added the sentiment in the top left corner, but I really felt I needed to add it to make the card work. I sure hope I won’t be disqualified! 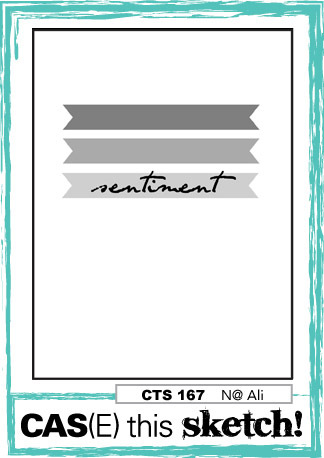 Categories: Cards | Tags: Card making, Cards, rubber stamps, smooshing technique, stamping, Thinking of you, Verve Stamps, watercolors | Permalink. Love all the chocolate. Great background too. Very pretty smooshed background….fun colors. 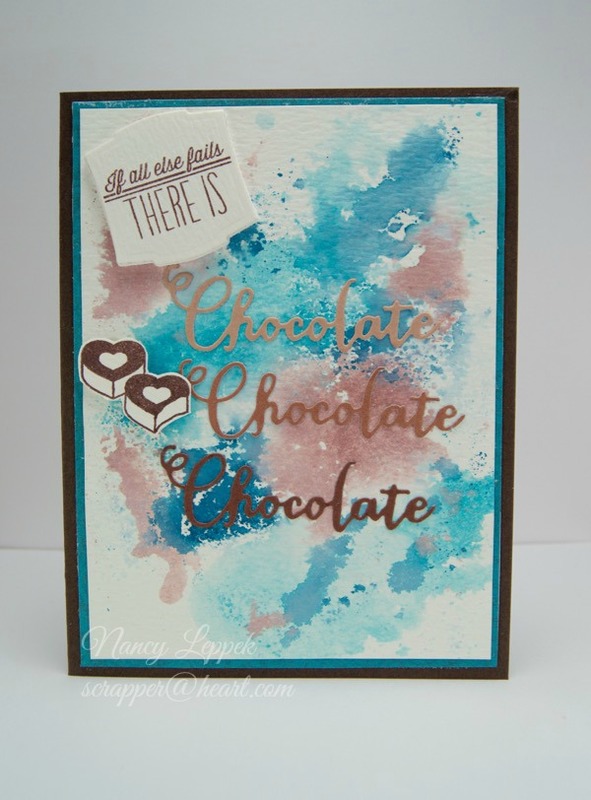 Love, love, love the chocolate theme! Very pretty smooshed background, and who doesn’t love chocolate. I love the colors you smooshed! Great use of that sketch, too. Cute images and sentiments! I love the colors you chose….and somehow they go so well with your greeting. It just makes me smile. Your card is just simply outstanding and totally fabulous!!! I just feel like eating chocolate when i see your card! When I saw your post, I was astounded because I was painting with chocolate and blues too, I feel sooo connected, across the world, with you! Great take on the sketch. Perfect choice of colours. You used that new stamp perfectly Nancy. Now to find that chocolate. Great smooshing! Thanks for joining us at CAS(E) This Sketch! Your smooshing is amazing! you gals make this technique look so easy… I am a smooshing failure! Again, I just love the colors you used Nancy and this stamp set is super sweet! !